Presidential hopeful Martin O’Malley visited the University of Michigan-Dearborn on Oct. 23. 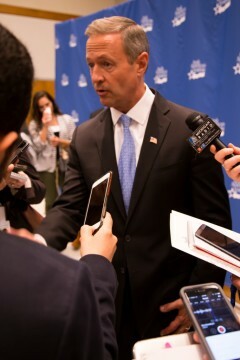 O’Malley, former mayor of Baltimore and governor of Maryland, came to Dearborn to speak at the Arab American Institute’s Yalla Vote: 2016 Leadership Summit. This invitation was given to all of the presidential candidates; O’Malley was the only one to accept. 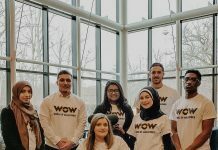 “Our student government president (Bradley Pischea) and other university student organizations invited him to our campus after learning that he was scheduled to be in town,” said Ken Kettenbeil, vice chancellor of external affairs. The Arab American Institute invited O’Malley to speak to them about some of the issues important to Arab Americans, such as the refugee crisis. 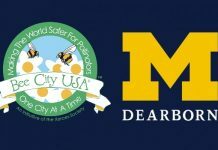 O’Malley directly referenced these issues in his speech to the entire UM-Dearborn community. “I became the first presidential candidate to say ‘yes’ — that as a nation we should step up,” said O’Malley, speaking about the refugee crisis and the humanitarian organizations that asked the United States to take in 65,000 refugees. “There are other ways to lead than at the end of a drone strike,” he said. 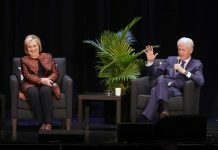 “At the Republican debate, Donald Trump said it wasn’t fair that he didn’t know the names of terrorist leaders because, he said, ‘They all have Arab names,’” O’Malley said. “Ben Carson flat-out said he would not be comfortable with a president who happens to be Muslim. O’Malley compared the 700-year conflict in Ireland, the nation his family immigrated from, to the current relations between Israel and Palestine. 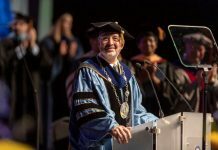 While it was evident that O’Malley’s intent with his speech was to engage the Arab American community and gain their support, some felt by only addressing Arab American issues he left others in attendance feeling isolated. 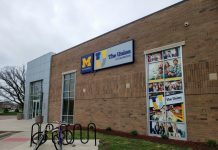 However, students appreciated that O’Malley did his research on the diversity of UM-Dearborn and made sure he understood the issues facing the different ethnic groups here. After his speech, O’Malley stopped briefly outside of the lecture hall to take selfies with students and answer questions.